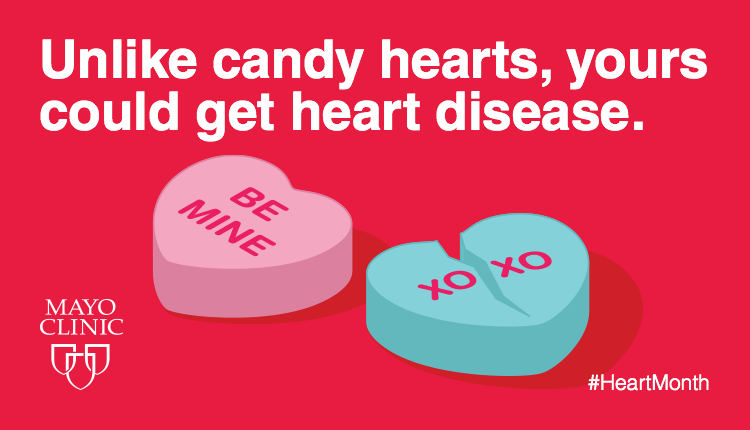 Fact: Unlike candy hearts, yours could get heart disease. It is not uncommon to see an abundance of hearts this time of year. While Valentine’s Day contributes to this, February is also American Heart Month. Heart disease is the leading cause of death for men and women in the United States. The good news is that heart disease can be preventable by pursuing a healthy lifestyle. Share the love this February by supporting the healthy heart movement.